Congratulations to the winners of the Dungeons & Dragons Find Your Dark Side Contest! 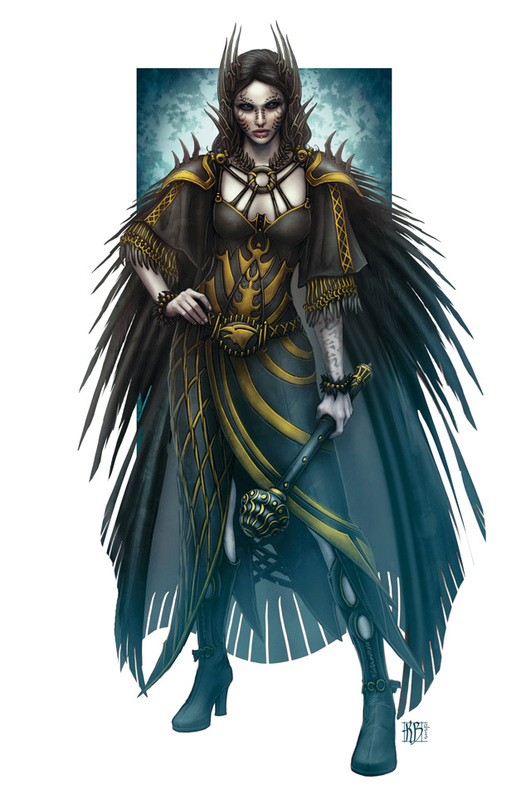 I hope Wizards releases their entries so we can see what sort of dastardly characters they came up with so we can use them as villains in our own campaigns. Solandre unwittingly unleashed herself upon the world, in all her terrible Fury. Never forget that it is the brightest lights that cast the darkest shadows. The woman I loved had hair as rays of daybreak, eyes like the periwinkle sky, with glowing cheeks and dewy lips. I played dusk to her dawn, and we were of a soul, bound together by the very turning of the world. Yet her heart belonged to Pelor, and there was no room for all that I was. For the virtuous Paladin Solandre was but human. Where she had been spurned, grew spite. What generosity she gave sowed haughtiness. When righting injustice, she became ruthless. She couldn’t live with herself, and so she cast me out. That she might be a pure and righteous vessel for the Shining One. She unwittingly created her own darkest enemy, the Blackguard Nyxelle; indeed, she unleashed herself upon the world—every ounce of jealousy, avarice, cruelty. But most of all, her Fury. Everything she loves, I hate, and everything she hates, I love. I will find her, follow her. The Shade must stay close to its Source. All I wanted was to be with you, my love. I’ll do whatever it takes for you to love me, too. Image © Wizards of the Coast, from the new Shadowfell: Gloomwrought Box Set.